There were many versions, but what are the main differences? 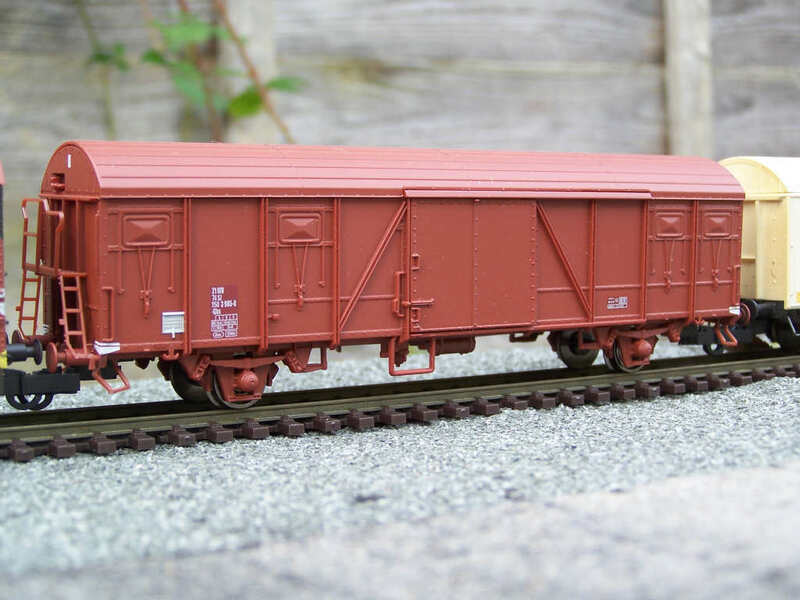 First, a little history concerning wagons that pre-date the NMJ models. Up to 1892 the G-wagon types were known for the year they were introduced, such as 1856, 1863, 1866 or 1884 model year. 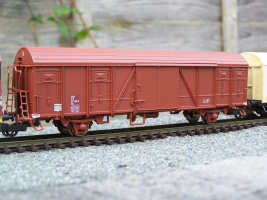 In 1892, a new defining system was introduced where new wagon types were in reverse chronological order so that the 1856 model year was G4, 1863 was G3, 1866 was G2 and 1884 was G1. Not surprisingly, it turned out this system worked less well when new types were added. So when the 1898 wagons were first introduced as type G1b, they were changed in 1899 to G3 since previous wagons type G3 were grouped into G4 wagons (under the joint type G4). 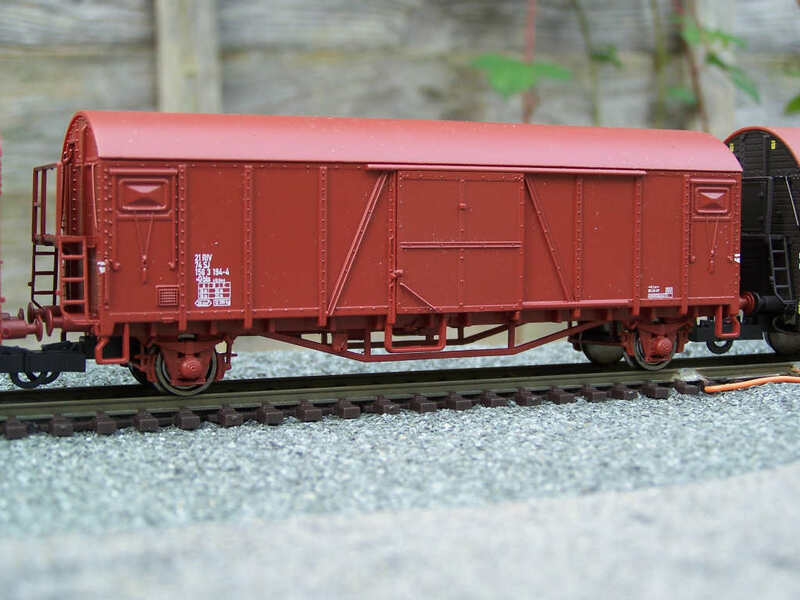 In this way, the number 3 after serial letters to be characteristic of all types of wagon based on the 1898 chassis. 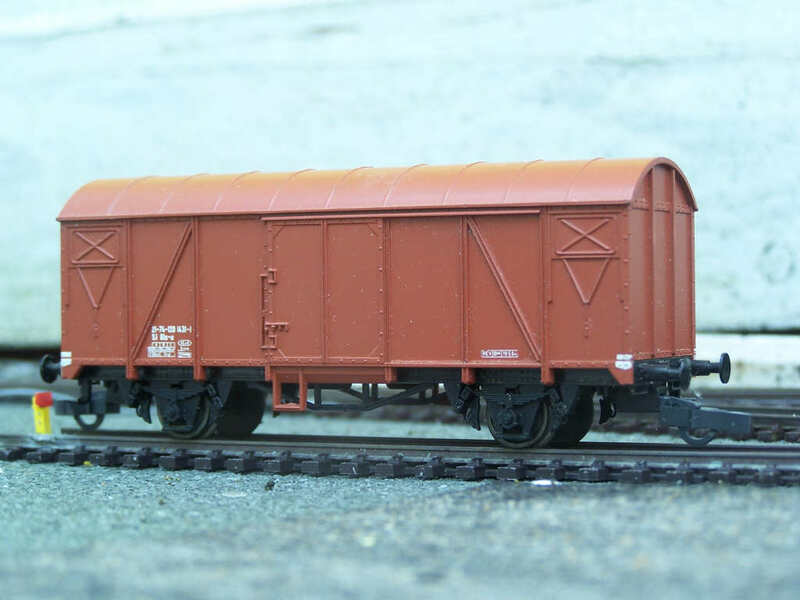 In 1921 a new defining system was introduced that described the wagons characteristics rather than design. Instead of being followed by a digit, the head type G was followed now by one or more of the index in the table below. Not all of these were introduced in 1921 but were introduced when the need arose. 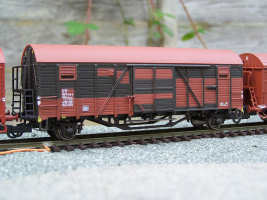 This defining system remained until around 1966-68 when SJ changed their wagons to the defining standard developed by the International Railway Union (UIC). This was also based on the principle of a serial letter followed by one or more index describing the vehicle characteristics. 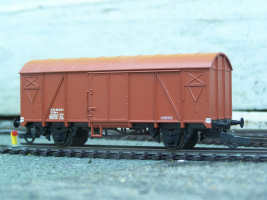 The 'Grh' was Sweden's first big-volume goods van. It had 30.1m² and 66m³ space, and 20.5t loading capacity, which signified a great step in progress for efficient goods transport. 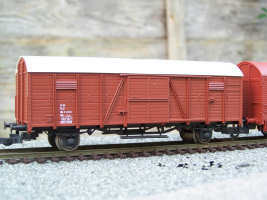 400 vans of this type were delivered 1927-1933. 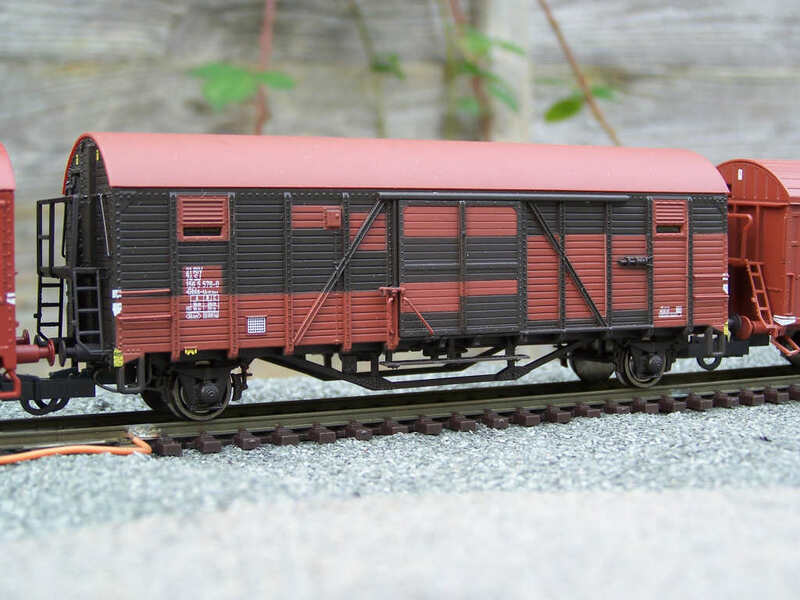 50 of them were rebuilt to type 'Gk' with extra ventilation for food transportation, and another 20 to 'Gi' with doors in both ends for use as express goods and cycle transportation in passenger trains. They remained in service until the early-1980s, though some remain in 'service' duties. 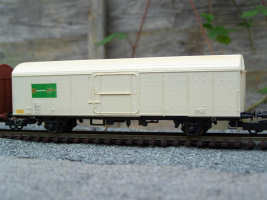 As UIC labelling came into existence, the 'Grh' became the 'Gbl' and the 'Gi' became the 'D30,' a passenger coach type designation. 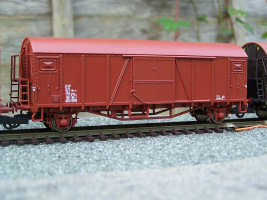 The subsequent 'G' type van was developed on the basis of the 'Grh,' with the axle spacing of 8.1m and a welded framework and chassis. This permitted a maximum speed of 100km/h, which made it possible to use also in passenger trains. 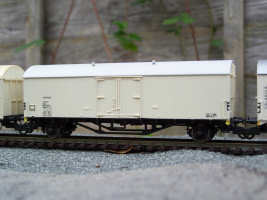 The loading capacity was the same as for the 'Grh.' These vans were also delivered to private railway companies from 1935 such as BJ, DJ, GDJ, TGOJ, and HNJ. When the state took over all the private companies, all of the 3471 'G' vans came into SJ Ownership, and remained in service until the mid-1990s. 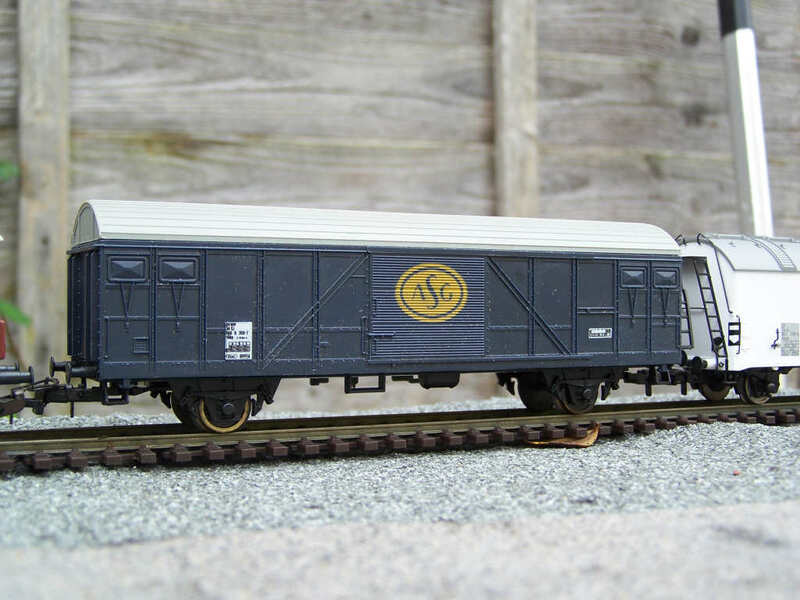 These 'G' vans were originally known as types 'G' and 'Giu' (later 'Gbls-u'). 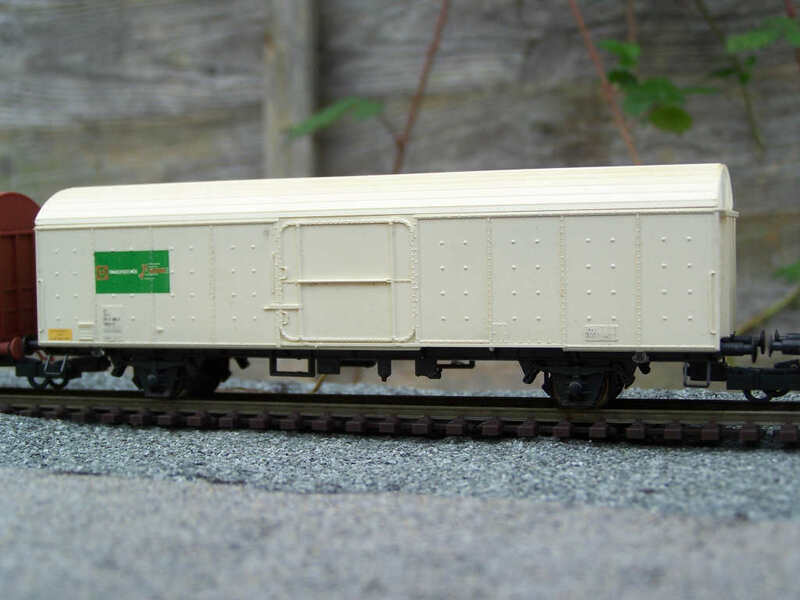 SJ had a great need for cooling units so 642 of the type 'Grf' were built. These were delivered 1951-1952. 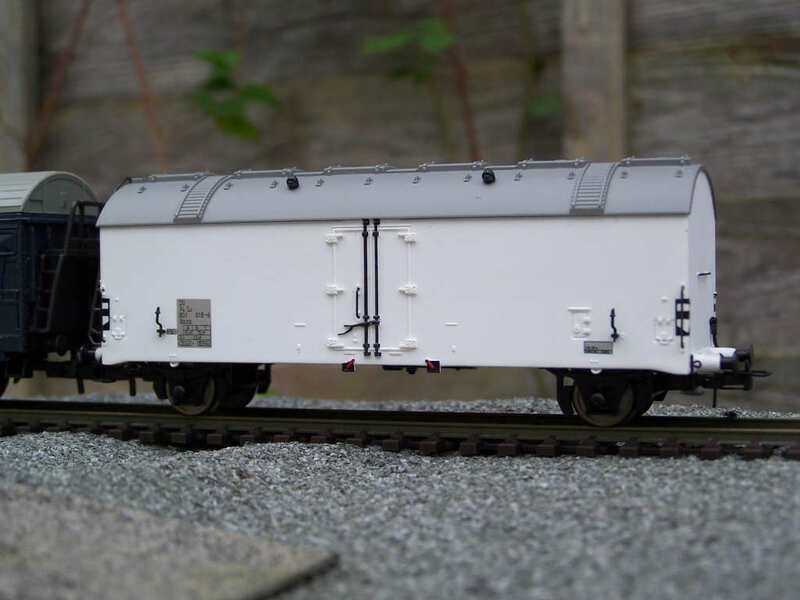 The vans had the same chassis as the type 'G,' but had vertical wood panelling all around with hatches at both end walls. 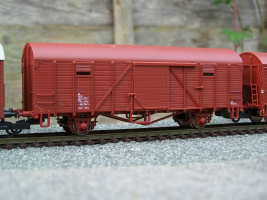 Some vans were also clad boarded. Several vans also carried advertising. The vehicle weight was 15 tons, max load capacity was 20.5 tons, and had a floor area of 28.7m². The maximum speed was 100km/h. 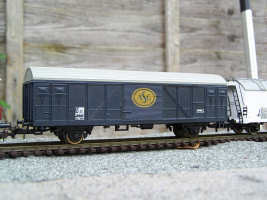 The vans were in operation until the 1990's, and many are preserved. 'Grf' late became type 'Ibblps' under UIC labelling. 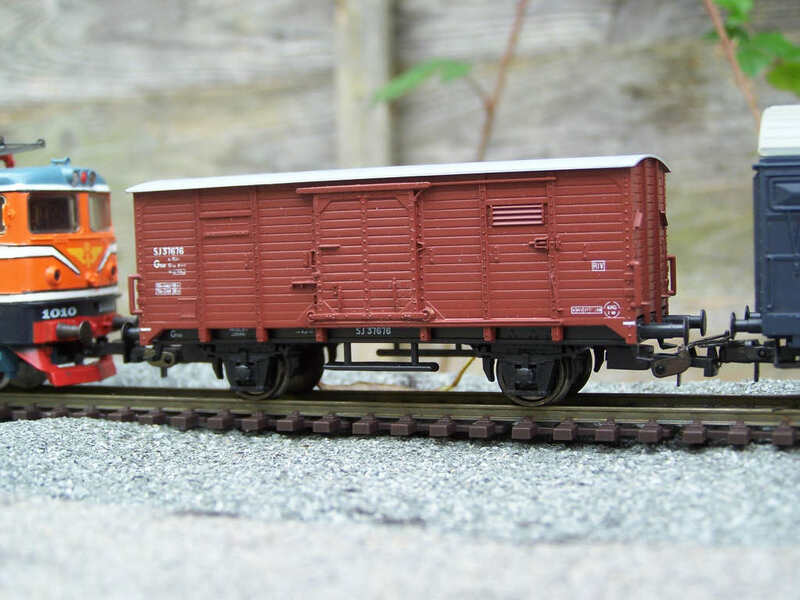 The 'Gre' (later 'Gbs'), was one of Sweden's most common, modern freight cars, and was built from 1961 to 1968 in a total number of 4506 units, divided as 3 types, Gbs(611), Gbs(631) and Gbs(681). 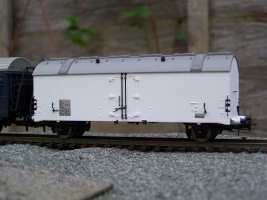 Vehicle type is a standard 'UIC' design which was used in all over Europe. Gbs(611) which came in 1961, was built in 2500 copies. Gbs(631) was built in 1905 copies from 1964. The last type, Gbs(681) had a higher doorway with the door partially up over the roof, and was built in 100 copies. 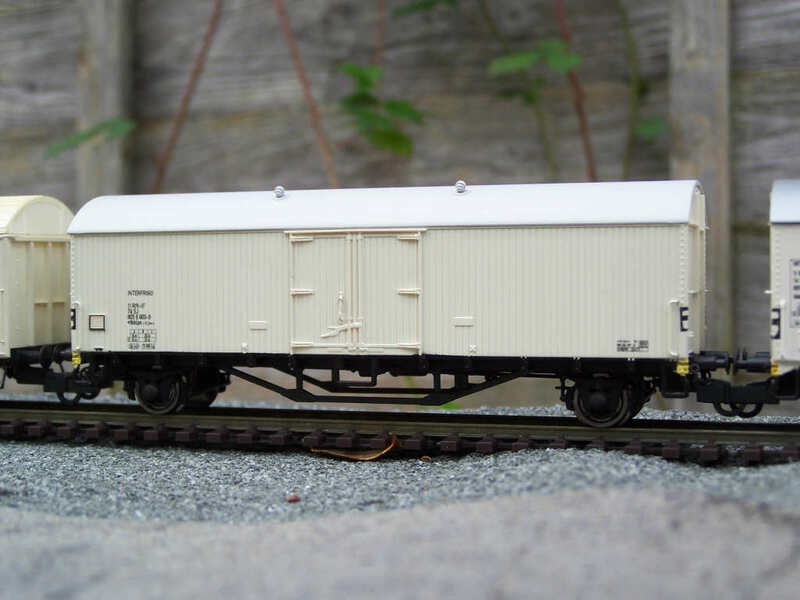 A number of "Gbs" wagons have found their way into service use. 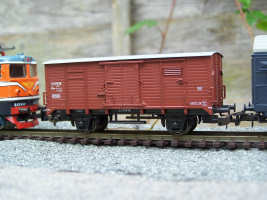 the other was a Jeco repaint over a brown Lima wagon! 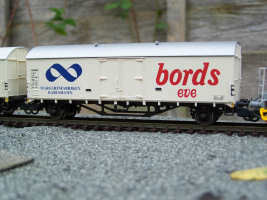 As such they have been rebranded "Qbv." 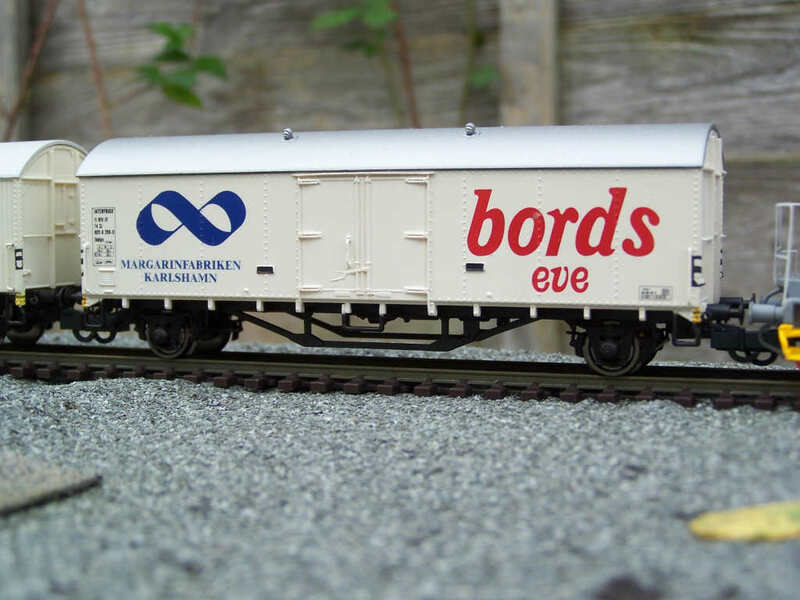 Information from SJ archives, NMJ catalogue, and Modelljärnvägsmagasinet.